Let's face it. We could all use a win every once in awhile. To help facilitate this need for some winner winner chicken dinner (or tofu for the vegetarians), we do a bi-weekly giveaway here at YogiApproved. You can be sure that all the products we give away are 100% YogiApproved™ for your yoga lifestyle. 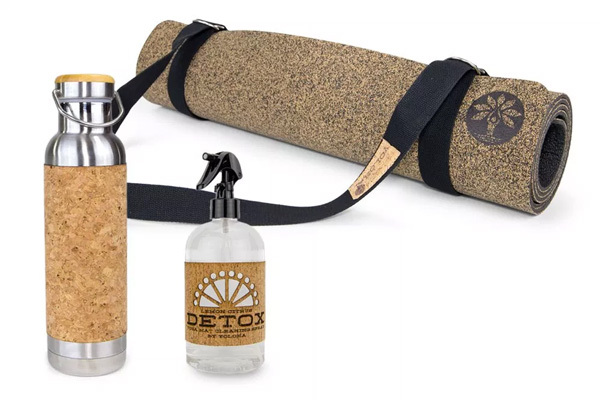 This Hot Yoga set from Yoloha includes the Native Yoga Mat, Stainless Steel, double-walled vacuum insulated water bottle, and detox spray. A winner will be chosen on 11/19/18. By entering this giveaway, I agree to provide my email address to Yogiapproved.com. I agree that they can contact me by my email about their products and services. Winners not in the US may be responsible for shipping costs. Winners will be contacted via email.